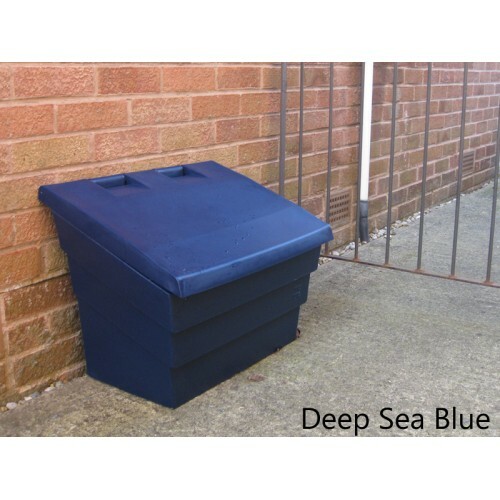 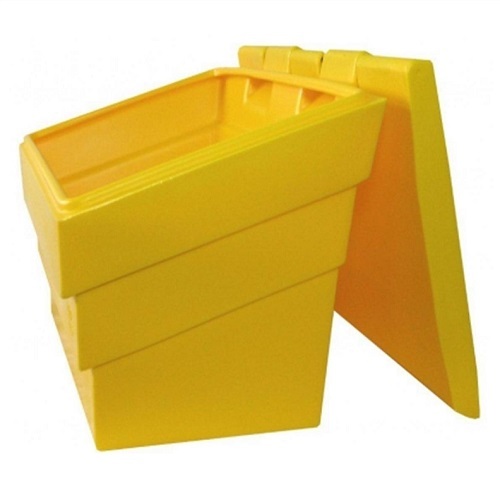 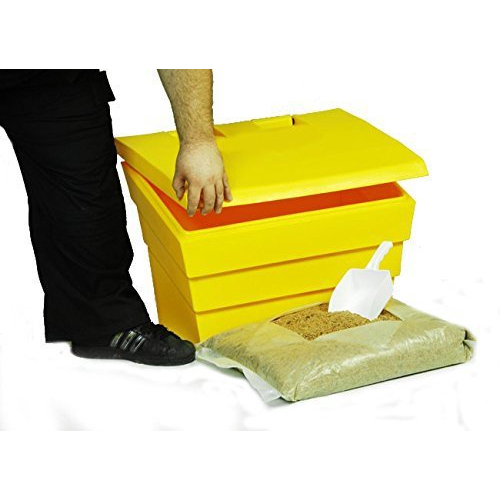 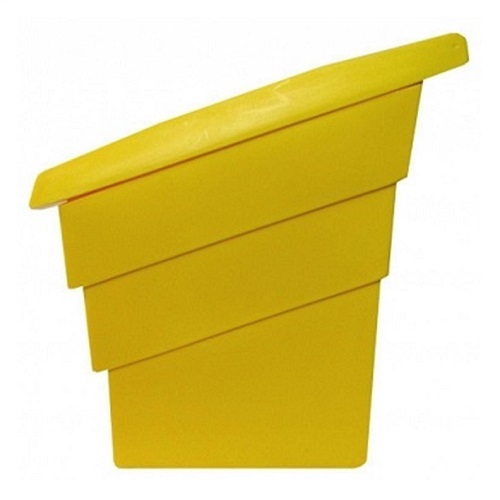 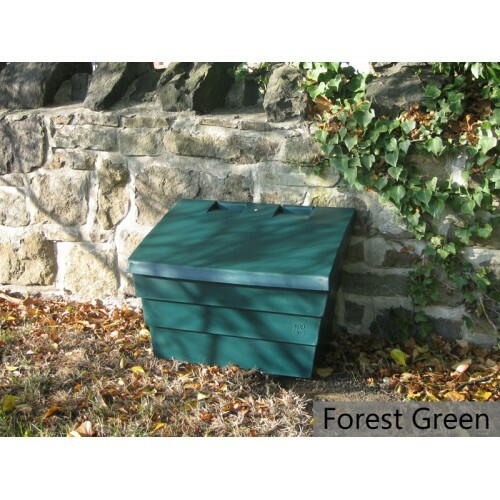 This compact and versatile grit bin is manufactured from durable and UV-resistant polyethylene and is the ideal grit bin choice for use at home. 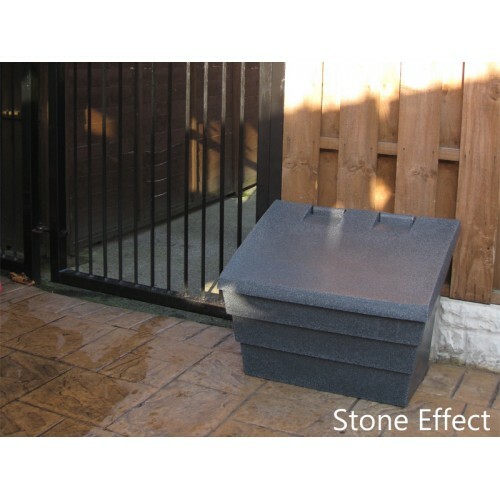 The bins are available in a choice of colours including 'sandstone' and 'stone effect' to look attractive in your garden or on your path or drive. 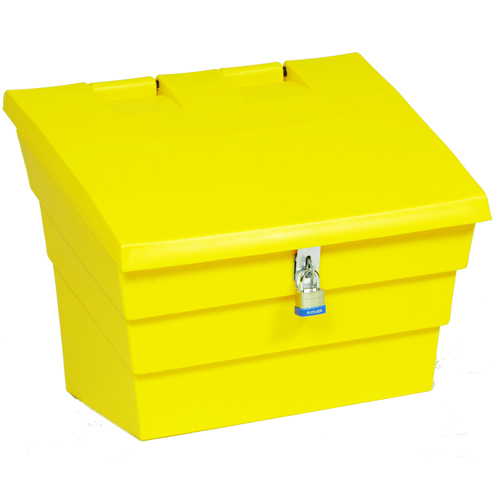 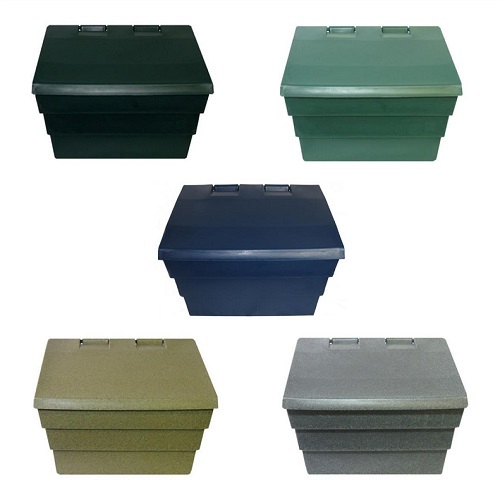 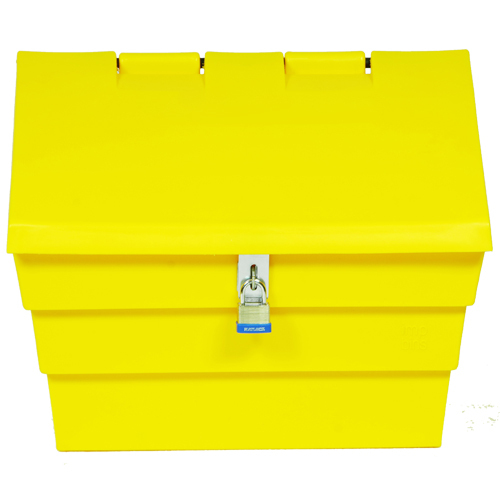 Our 2 cu ft grit bins are inter-stackable up to 10 high and this makes them ideal for storage during the summer months when not being used for storing grit / salt. 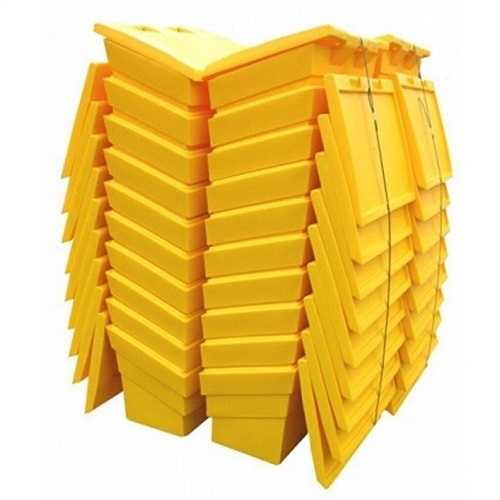 This also means great savings on delivery as up to 40 bins will fit on a standard size pallet. 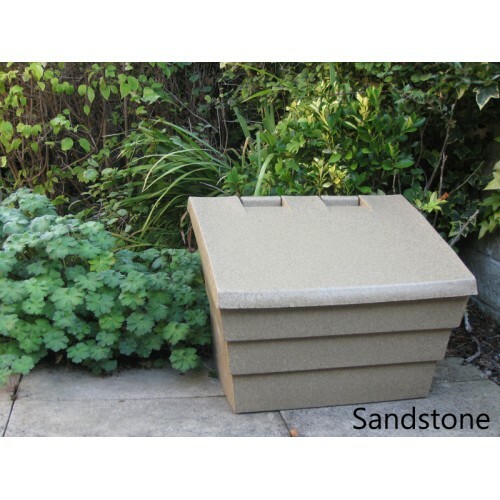 Keep your driveway, patio, garden or path ice-free this winter by storing your own grit / salt in our 2 Cu Ft Lockable Grit Bin.